Built in 1971, the Winnipeg Art Gallery is regarded as one of the finest late-modernist buildings in the country. Join the Winnipeg Architectural Foundation for an in-depth tour and learn about the architect, the design, and the history of this important structure. As mid-century buildings age and hit the 50 year mark, the concept of “modernist heritage” is becoming more important. The tour will examine the state of preservation of Winnipeg’s modernist buildings, situating the Winnipeg Art Gallery building in its architectural context and look at the role architecture has played in rejuvenating Winnipeg’s downtown since the 1970s. 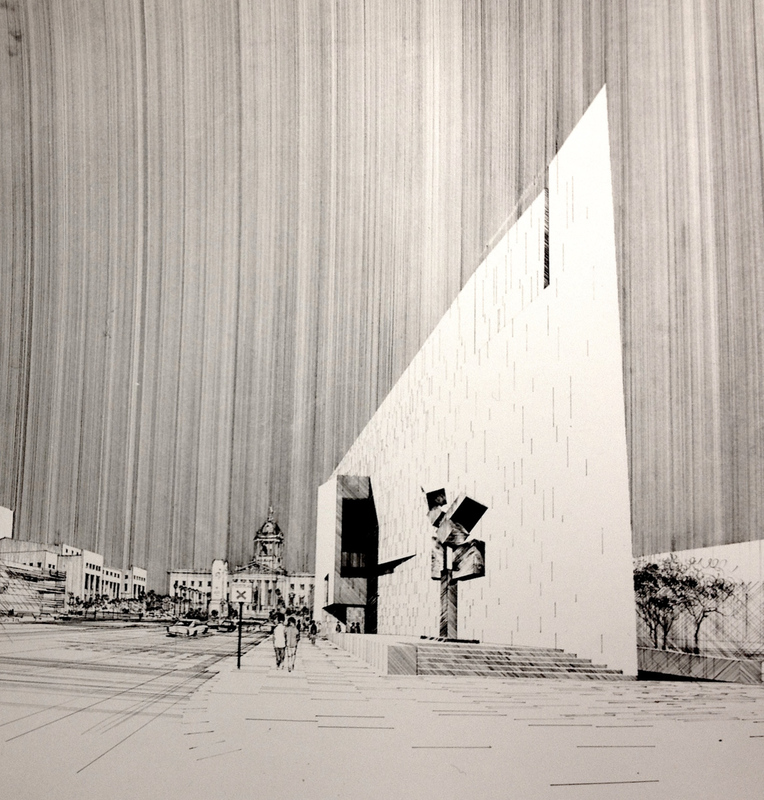 When designing the WAG building, Gustavo da Roza (Number Ten Architecture group) drew inspiration from the triangular piece of land on which it sits. Its unusual shape and gleaming Tyndall stone exterior made it a landmark in downtown Winnipeg. This tour is offered as part of the WAG Art for lunch programme. WAG Admission fees will apply.